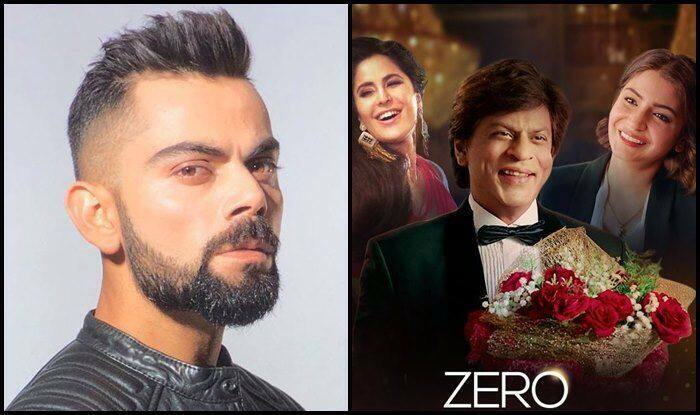 Australia vs India 3rd Test Melbourne: India skipper Virat Kohli took time off cricket and watched the latest Bollywood film 'Zero' in Melbourne Central and has now come up with a review. The movie has already garnered Rs 38.36 Crores which means it has done really well and with the long weekend around the corner it is expected to fetch more. This is not the first time Kohli has reviewed an Anushka Sharma film. In the past, he had also praised ‘Pari’, a film that featured Anushka Sharma. Meanwhile, all the focus would be on the upcoming all-important Boxing Day Test. The four-match Test series is locked at 1-1. India won at Adelaide by 31 runs and then squandered the lead at Perth, where they were defeated by 141 runs. Also, if India repeats a Perth at Melbourne Virat Kohli’s India could overhaul an unwanted 35-year-old Test record for India. The defeat on MCG will be India’s eighth in 2018 – two against the Proteas, four against England and one in Australia – and that will mean the nation will overhaul its most Test losses in a calendar year – surpassing the record set in 1959 and 1983. Sunil Gavaskar was the Indian Test captain in 1983, whereas Kapil Dev was the captain in the limited overs cricket.